A bag of 100 white plastic omni sticks measuring approximately 12 inches long and 1.5cm in diameter. 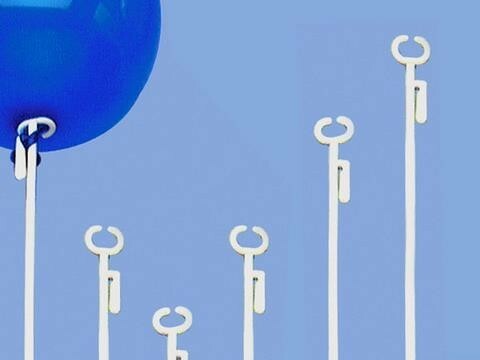 These one piece white omni sticks are used for attaching 3 inch to 9 inch foils or smaller latex balloons. Perfect for using in floral displays.